Call2Recycle offers a free recycling program for rechargeable batteries, with collection sites at many municipal transfer stations and recycling centers, and at some hardware stores.. The program accepts all types of rechargeable batteries (Ni-Cd, lithium, metal hydride), including those from power tools in laptops, tablets and other portable electronic products. The program also accepts cell phones, and small sealed lead acid batteries. To find recycling locations near you visit the Call2Recycle website. Non-rechargeable or single-use batteries (including alkaline and "classic" general purpose or heavy duty) can be recycled, but there is not currently a free recycling program available in Maine. To recycle your single-use batteries, search the internet for “battery recycling services” to find a service that best meets your needs. Small quantities may be safely and legally (except in California) disposed of in normal household trash. Never dispose of batteries in fire since they could explode. If you have a large number of non-rechargeable batteries, contact your local waste disposal service, municipal officials or check into one of the mail-in programs that will accept batteries for recycling. Button cell batteries (Mercuric Oxide, Silver Oxide, etc.) should NOT go in the trash. Instead, they should be recycled or taken to a household hazardous waste collection. Maine law at 38 MRSA § 2165 requires manufacturers to establish a collection system for rechargeable batteries. The Call2Recycle program fulfills this requirement. 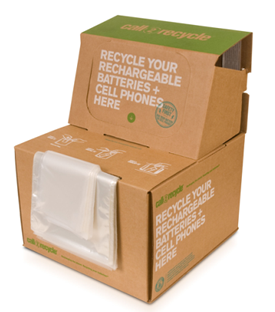 If you are a Maine business, you must either use the Call2Recycle system to return spent rechargeable batteries to the manufacturer or you must make other arrangements to ensure the battery is recycled. 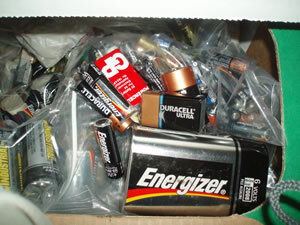 It is illegal for businesses to dispose of rechargeable batteries in the trash. If you are a homeowner, you are not required to recycle rechargeable batteries but we urge you to do so. The price you paid for the battery entitles you to use the Call2Recycle service free of charge. Recycling helps us safely manage the toxic components of these batteries and keep them from contaminating our air and water.